If you are looking for static caravan insurance, please click here for more information. First class, no problems and no worries about the cover. Exceptional. Touring caravan, trailer tent and folding camper insurance is provided by our parent company, Caravan Guard Limited, who specialise in providing extensive cover and great savings. Our policies are underwritten by a leading UK insurer, RSA (Royal & Sun Alliance Insurance plc). Our impressive list of caravan insurance discounts and policy benefits are listed below. Caravan Guard's Defaqto 5 Star rated caravan insurance policy offers a range of benefits which can be tailored to suit you and your caravanning needs. This website provides a brief summary of the policy cover and options that are available to you. Your schedule will confirm cover features and levels applying. Benefits and discounts are subject to terms and conditions, cover level and underwriting criteria. Minimum premiums apply. For more information about our touring caravan insurance policy, you can download a specimen policy or policy summary from our touring caravan insurance documents section. For your security, our quote engine uses the most powerful SSL encryption commercially available today. In this video we go through the steps to take to drain down your static caravan to prevent frost damage and for your insurance cover to remain valid. A modern lodge with fantastic style, the Tingdene Havana is definitely a head-turner. Could this be your next holiday lodge? Our static caravan and lodge insurance policy has been given a five star rating for the fourth year by independent financial researcher Defaqto. 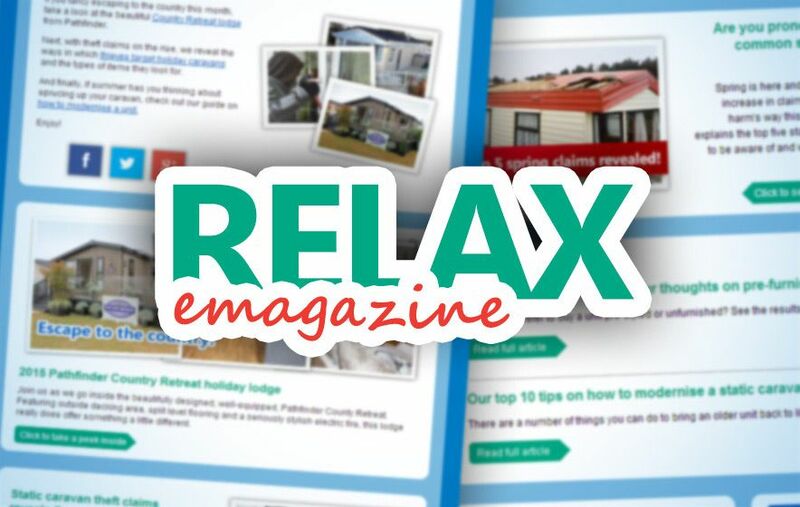 Our Relax e-magazine contains professionally written articles, model reviews, tips, tricks and owner advice. Thank you for your excellent service in dealing with our claim so promptly and efficiently.